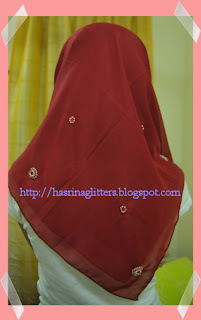 Get Beautiful by Hasrina's Glitters! 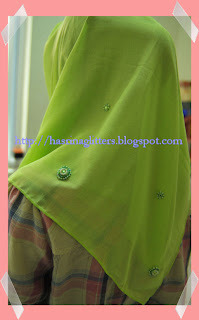 : Get Colorful & Glittering!! 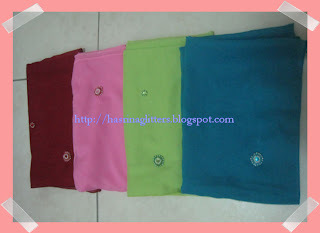 Very light, very easy to wear, to shape and might be matching with your favourite clothes!! I am a person whom the obsession is into glitters!i love something with beads,sequins and etc.As long as its glittering.I also love something that has a fancy/abstract/unique design things.Thank you to my mom n dad n my love one for their support. Interested? 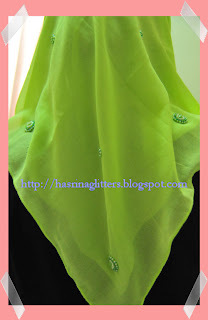 Please place your order directly to hasrinaglitters@gmail.com. Please kindly DO NOT leave your order in the comment section.I might be misread it. All sales are final.For serious buyer only!! All items are based on the first come first serve basis. The reservation can only be made for 3 days maximum! Payment can be made to my CIMB/Maybank.The account numbers will be inform in the email. The items will only be send after payment have been made.Please notify me through email after the money has been transferred. Handling and shipping cost is around RM5-RM10 or maybe more. Please allow 2-5 days for delivery (excluding weekends and public holidays). All the shipping will be send via Pos Laju/Pos Express. Stock Clearance At a Lower Price!!!! The Black & White Tudung/Scarf Collection!